The EJC M13 ZT was developed specifically for use in small and medium-sized businesses with occasional need for a goods transport solution. 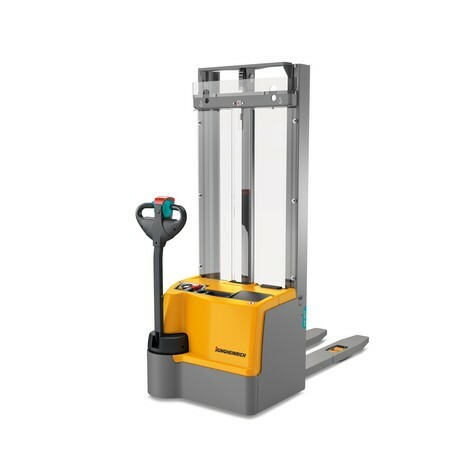 The 0.6 kW motor assists you in transporting pallets and goods weighing up to 1,300 kg over short distances. 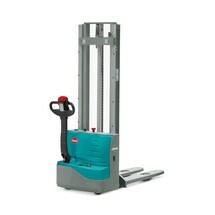 The electric stacker truck is ideal for occasional order picking or stacking of pallets at heights of up to 3300 mm. 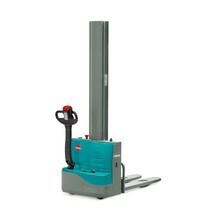 The electric stacker truck offers a range of safety measures for complete peace of mind. The low ground clearance of just 30 mm reduces the risk of foot injuries. The full panelling of the truck housing provides additional protection. Thanks to the low frame height and optimum view through the mast, even smaller operators have a clear view of the fork tips at all times. 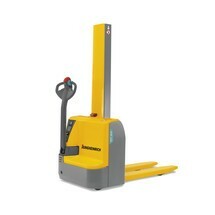 The pedestrian truck is equipped with a two-stage telescopic mast. The ZT or Simplex mast is a two-stage model with direct extension of the mast. A 200 mm stroke of the fork carriage results in a 100 mm movement of the moving mast. 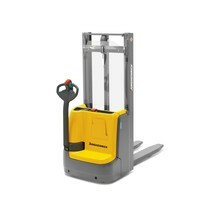 The electric stacker truck is particularly energy efficient. The use of powerful, maintenance-free three-phase AC technology allows you to reduce your operating costs and maximise the speed and cost efficiency of your stock turnover. Efficient energy management is further supported by the regenerative brake with energy recovery when reducing the travel speed. The truck switches off automatically when not used for 30 minutes. This intelligent automatic shut-off helps to protect the battery. In combination with the on-board charger, the 160 Ah lead acid battery ensures utmost flexibility and can simply be charged via any 230 V socket. 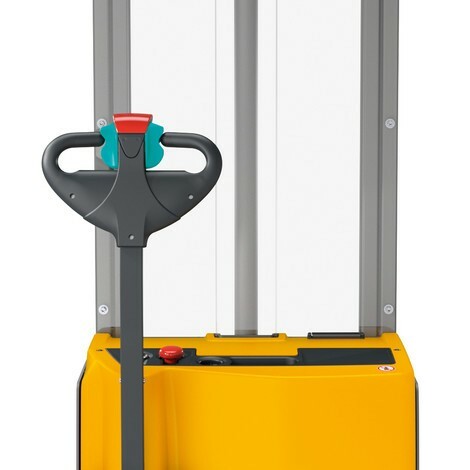 Enjoy a cost-effective entry into the Jungheinrich electric stacker truck range by purchasing the EJC M13 ZT with 1,300 kg capacity from our shop in your desired lift height.